Cover made by Nancy Batra. Future titles (so far) The Truth of the Black Dragon explains what our dark side really is, and The Crystal Dragon Enters. In this title, Luzi looks into our connection to nature and gets a deeper understanding of life, nature, the planet and creation itself. 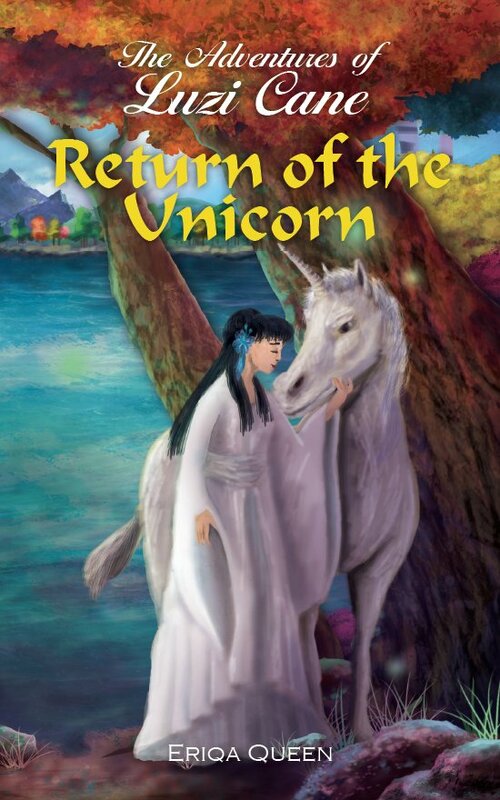 This connection is initially established with a consciousness that appears as the human concept of the Unicorn. The horn is not really a horn, but a swirl of energy or more precisely a point of consciousness for communication. This point is widely misunderstood to be the third eye, as people imagine it to connect to the visual cortex for creating images. Luzi’s perspective is the artificial intelligence, AI, robotics and augmentation and evolution of the human body, and how humanity will live with these things. Her daughter, Julia is focused on the human coalition with the planet and the unbalance between the feminine and the masculine. Divine wisdom is given through Gaya, Pan, Adam & Isis, Kuthumi, Charles Chaplin, Mary Magdalene, King Arthur, Merlin, Jeanne d’Arc, Saint Germain, Shakespeare and others. Luzi will connect to her own divine wisdom as she continues on her journey for embodied realisation. Will be published later in 2019.